How to advertise on Nextdoor is a question I get all the time. Ever since I wrote a post about using Nextdoor to reach local customer the question of how to advertise keeps coming up. You’re a realtor or broker. If you don’t belong to either one of those categories then your options are limited but growing every day (I’ll get to that at the end). 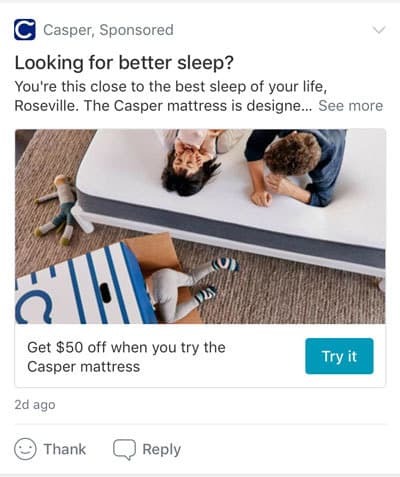 The last section of this post does cover a few options you now have to promote your business actively on Nextdoor without paying for advertising. 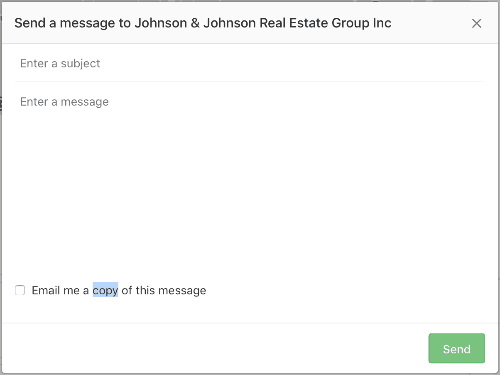 Download the free Nextdoor review request email template instantly. Now for more of the details of the two types of sponsorships on Nextdoor. I’ll cover national brand first (a shorter section) and then real estate agents and brokers last (much more detailed). I see the most questions asking how to advertise on Nextdoor from any and all types of local businesses. Nextdoor is a good place to reach local consumers so I can see where the desire to advertise comes from. 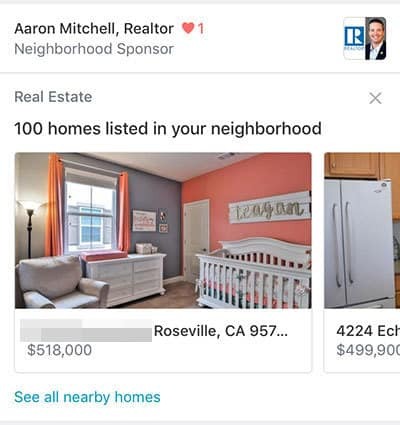 Only national brands can advertise on Nextdoor as of right now.Nextdoor may be scaling their efforts though so the limitations could slowly change as they build out their sponsorship strategy. Defining a national brand is a little more vague from Nextdoor. I take that as meaning a large business that has a national audience such as the Ring doorbell, Match.com, and Home Chef which all sponsor posts on Nextdoor. 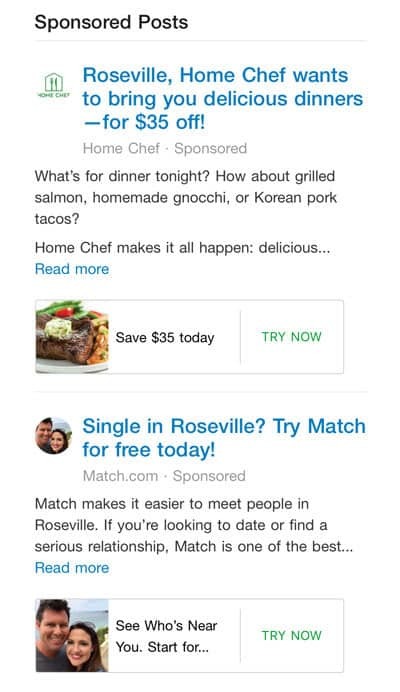 You can learn more about advertising on Nextdoor and even apply on the Nextdoor ad page. The only action you can take is to fill out a form to request more information. I’ve filled out the form and have yet to get any type of response. It’s not like Facebook at all where you can start an ad for $10 here, $20 there. Nextdoor most likely only works with companies with large advertising budgets this time. Regardless of that, I’m not encouraging you to give up on advertising on Nextdoor. Go to their website and fill out the form. I will update this post and let people know in The Online Presence Newsletter when they are opening up the sponsorship opportunities if they ever do. Ads from the big companies show up in two different places that I have seen. Oh, and they’re called sponsored posts rather than ads. If you see more please let me know. The primary newsfeed is where you’ll see most sponsored posts show up. I ran into the following ad for the Casper mattress. It’s also worth noting that ads only show up once in someone’s newsfeed. I kept scrolling forever and only saw one ad towards the top. You’ll see a sponsored real estate agent listing but those are the only two paid placements. Everything else in Nextdoor is organic and non-commercial which is a brilliant move on their part to build the platform. That will change over time though. Once they have the audience the next piece of the puzzle is how to monetize it. Next, sponsored posts (ads) are seen on the Nextdoor digest emails. At the top of each email in the table of contents is a list of sponsored posts. As you scroll down the email you’ll see more details about the sponsored posts. You can see below two sponsored posts from a Nextdoor email digest. Most of us small business owners who want to target neighbors for sponsored posts are out of luck. If you’re a real estate agent or broker then you are the first to have some great sponsorship opportunities on Nextdoor. Certain zip codes on Nextdoor can be sponsored by up to five real estate agents each. Real estate agents and brokers are the lucky ones who get to experiment and learn how to advertise on Nextdoor. Nextdoor simply cycles through the sponsored real estate agents with no apparent rhyme or reason. The properties listed are from the area and the real estate agent who displays is simply a random selection by the Nextdoor algorithms. I saw the image below with two different real estate agents listed in the sponsor header. If someone taps the real estate agents name or image then neighbors are brought to the real estate agents business page. People can then contact the real estate agent to ask questions or even leave a recommendation. There are several places where a real estate agents or brokers sponsorships show up. Three in fact. 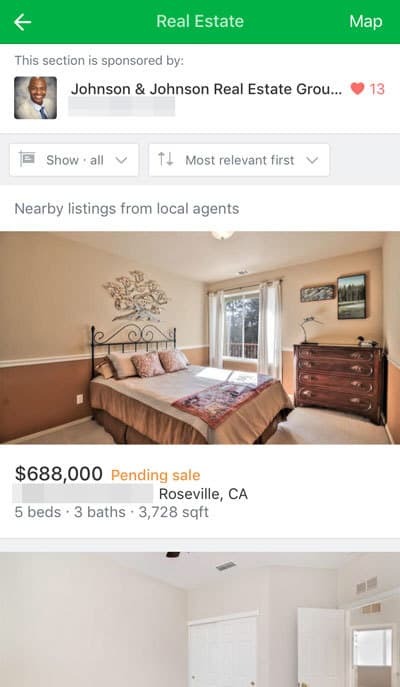 Real estate tab in the Nextdoor app and website. If you’re a real estate agent or broker and pay to be a sponsor you’re paying to have your name rotated in a specific zip code with 4 other agents. What’s the Nextdoor primary newsfeed? The primary Nextdoor newsfeed is the main screen when you open Nextdoor that has all the messages posted by your neighbors. On the Nextdoor app, it’s the home button (in the lower left). On the website, it’s the home button in the top left. Now for the three different places sponsorships show up. This is the most common place someone will see a real estate agents information. The real estate section in the neighbors’ newsfeed is divided into three sections which are either tapable or swipable. The top section (with the real estate agents name and picture) can be tapped to open that real estate agents business page. The real estate section with the listings can be swiped through to see different listings. Each one can be tapped on to open details for that listing. The bottom link (see all nearby homes) got to a page that can be scrolled through with all home listings in the area. It’s just the real estate agents business page. That’s a good reason why it’s so important to set up your Nextdoor business page thoroughly and properly. It’s important to have as much contact information as possible which means you must have a good real estate website, phone number, and address. Neighbors also want to trust the real estate agent which is why it’s important to get as many recommendations as you can. Without several recommendations for people to read through you risk being seen as untrustworthy. There are two more places where sponsored real estate agents will be seen. 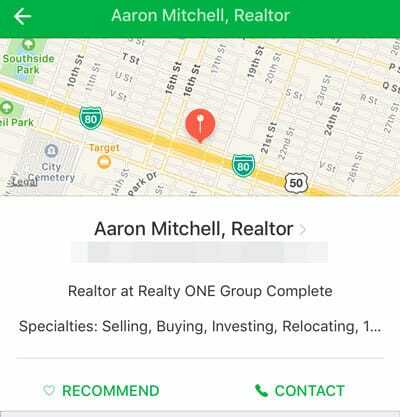 Whether neighbors are on their computer or mobile app there is a Real Estate tab. When someone opens the Real Estate tab there will be a sponsored real estate agent at the top. People can scroll down all the listings in the area and the real estate agent will stick to the top allowing people to tap on them anytime to get to their business page. That’s a good opportunity for a real estate agent to have access to potential buyers. There are a lot of similarities between Nextdoor and other real estate websites (Zillow, Redfin, etc.) that list houses. You may have noticed that next to the real estate agent’s name are the number of recommendations. That cements the importance of getting more reviews to have the added trust from consumers. So, get more recommendations on Nextdoor! The same page on the computer looks quite a bit different. There’s still one (random) sponsored real estate agent for the section but there’s a large map that can be browsed around. There’s also an easy way for people to contact the real estate agent (the green ask a question button) which brings someone right to the real estate agent’s business page with a contact form open. The last place a sponsored real estate agent will be seen is in the Nextdoor email digests. These emails are sent out Thursday, Friday, and Saturday according to Nextdoor. On each of the weekly Nextdoor digest emails, there is also a sponsored real estate agent above the property listings. The name of the real estate company and their phone number are listed right in the email. This email is sent out to everybody who subscribes to it in the area the real estate agent sponsors. If someone taps on the home links they’re just brought to Nextdoor though and they’ll see a different real estate agent sponsorship listing on that page. There are a few recommendations if you’re a real estate agent and you’re thinking about sponsoring a zip code on Nextdoor. If you’re going to invest in sponsoring an area on Nextdoor then you should be prepared to do it right. That means your Nextdoor profile should be set up completely and you need some recommendations. You could pay all the money in the world to sponsor a zip code on Nextdoor. If you don’t have the recommendations to build that trust with neighbors it’s going to be wasted though. People won’t trust a real estate agent with no recommendations no matter how prominent the sponsorship. A few won’t do their research or won’t care but most do care. If you sponsor an area and haven’t made the necessary improvements to your business page then you’re wasting a lot of money. When you’re prepared to sponsor an area on Nextdoor then do it quick. For some areas, there is a waiting list to be a real estate sponsor. If you don’t have a business page already then you can head over to the Nextdoor Real Estate page and sign up for a business page. You may already have a business page though in which case you can apply to be a sponsor from there. If your business page category is listed as real estate agent or real estate broker then you’ll see the following options on your business page profile. Just click on the sponsorship options, type in your zip code and away you go. If you want to sponsor a popular neighborhood then you may end up on a waiting list. Otherwise, Nextdoor will let you know what you need to do to finish setting things up. Even if you’re not a real estate agent or major national brand there may be some options to promote your business. It’s all about being helpful and not overly promotional though. Remember, always be helping. Thanks to events and now the newly released (still in pilot) offers on Nextdoor you have two options to promote your business for free on Nextdoor. Still no paid advertising for the news feed but offers is a pretty darn good option IF you have a great offer. Offers show up in the newsfeed and in emails and events are excellent also. I wrote a detailed post about how you can use Nextdoor events to promote your business so read up on it there if you want to connect directly with lots of neighbors. Now there are the new Nextdoor offers which is another great way to promote your business to neighbors by giving them something really great. You have to make it an offer they can’t refuse though, 10% off isn’t going to cut it. If you’re a local business and you’re having an event then post about it. It should be a large scale event that’s open to the community though. No, a pampered chef party at someone’s house might not do so good and appears more like spam than a relevant event. It should be an event with a primary goal of a community event, not a business sale. That’s why I say something like a pampered chef party probably won’t do so good. Although, I did see Tupperware bingo in my local neighborhood events. Test something out but make sure it doesn’t look too spam-like or a self-interest event. It could do well. I would like to send messages to different neighborhoods in my area about housecleaning through Nextdoor. Do I have to join a specific neighborhood? Is there a way to let people in multiple areas know about my services without joining different Nextdoor sites? Hi Megan, thanks for commenting and asking a question about your circumstance. In your situation, there isn’t anything you can do to actively promote your service on Nextdoor. In fact, you would risk your business reputation even by posting business-related messages on your own neighborhood feed. 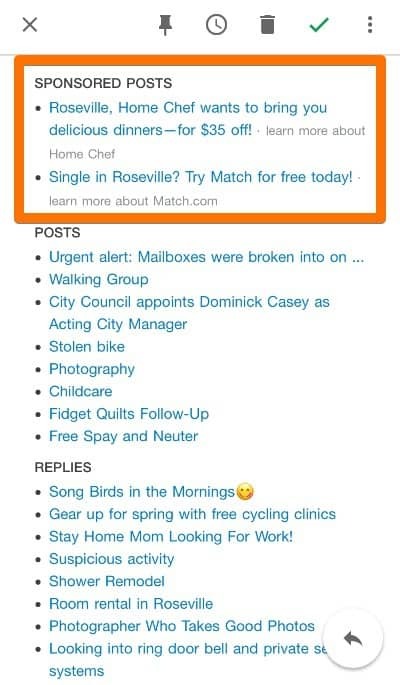 As of right now, there’s no way to advertise for most businesses and posting ads in the feed is against the rules and risks getting you reported by neighbors and booted from Nextdoor unfortunately. You also can’t join different Nextdoor sites or neighborhoods while the reach of your post does extend into neighboring posts. Most businesses right now can’t advertise on Nextdoor though so you’re definitely not alone. I myself cannot advertise on Nextdoor. I simply keep my profile up-to-date and keep an eye out for neighbors looking for help with something that I can provide. Good luck and let me know if I can answer any questions you have! When I first saw about advertisingI did not expect some big professional website. I was thinking it would be a way to communicate with people nearby to look for help services-I have been looking for someone do help at times for homemakers-companions-yard help that could work part time or by call. being chronically ill, I have gotten where I need help from someone who isn’t necessarily high skilled but willing to do honest work for an honest pay. I don’t have a business. Good article. 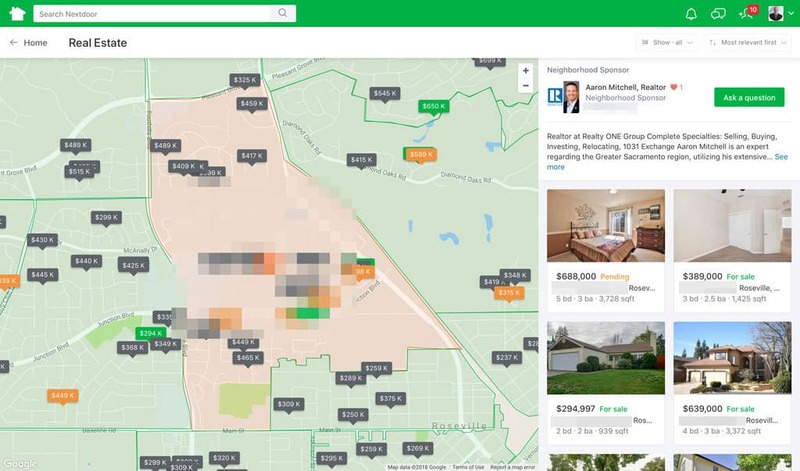 I’d be interested in connecting with other real estate agents that are Nextdoor sponsors in other zip codes to share best practices, etc. If you also sponsor a zip code and that sounds interesting to you, reach out to me. Nick, if you know any agents, would you pass them my contact info? Thanks. Hi Luke! I will absolutely pass on your info to other agents who also sponsor a zip code. Have you been sponsoring a zip code on Nextdoor? I’m curious how it has been going for you.